S A M I Y A: Shoes| Vans California. Vans California are one of my favs. brand sneakers. It's so simple and casual. Its very simple yet elegant. Nice to wear in spring/summer of 2011. 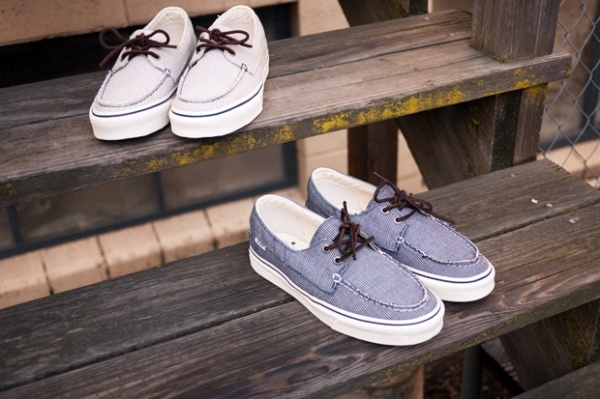 Vans California presents these Zapato Del Barco Pinstripe shoes as part of its new collection. Available in navy blue and white pinstripe versions, they feature brown leather laces and white outsoles, making for a comfortable and casual shoe option for summer.